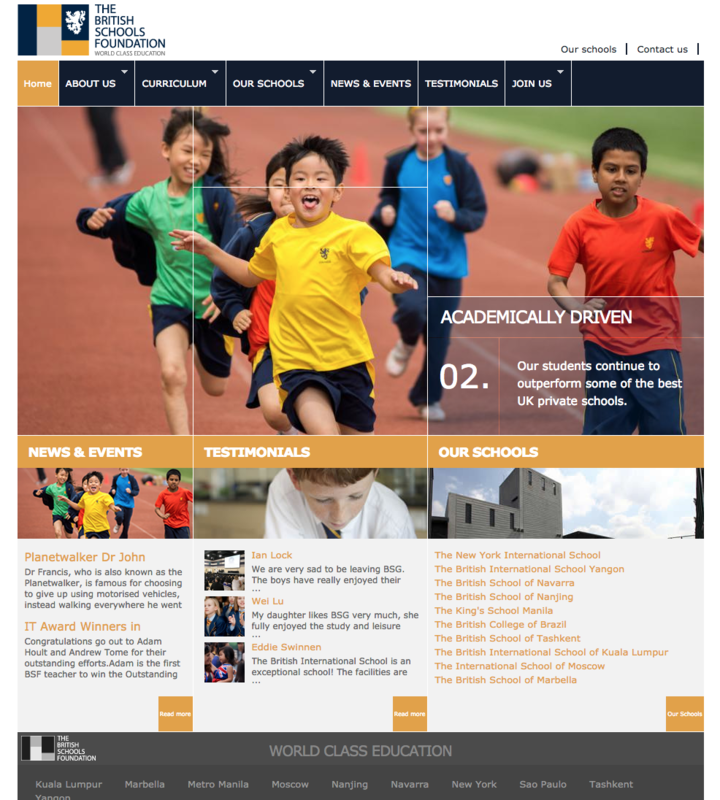 Back in 2011 The British Schools Foundation asked us to design and construct the Foundation's official website. Our work in this case was to create the new logo of the Foundation (explained on another post of our portfolio) and the website. When we had an approved version of the logo in front of us, we had it clear: the site would be organized around the shapes of the logo. And here is the result, an elegant corporate website. And of course this site was again an example of how you can put together Drupal and Salesforce to get the best of both worlds. In this case the site is controlled by the Foundation's admin users from Salesforce... they control everything, from the menu items positions to how the blocks are rendered on each page. We like this type of projects: branding, design, construction and integration. Salesforce is a CRM (Customer Relationship Management) and this helps your company organizing your stock, personnel, clients, customer requests... operations or so much more. It's a smart approach to organize a big part of your company's marketing and operations, a platform you can connect your website/s and make a lot of magic automating a lot of complex processes.